Jean-Jacques Cartier, the nephew of Cartier’s founder Louis, ran Cartier London after WWII. He frequently relied on Huntsman for his sartorial elegance, a favour that was returned by the many Huntsman clients who have sported Cartier watches and accessories. For this auction Huntsman has curated a selection of vintage Cartier pieces, such as this set of four novelty silver bullets, created by Cartier New York in the 1970s. 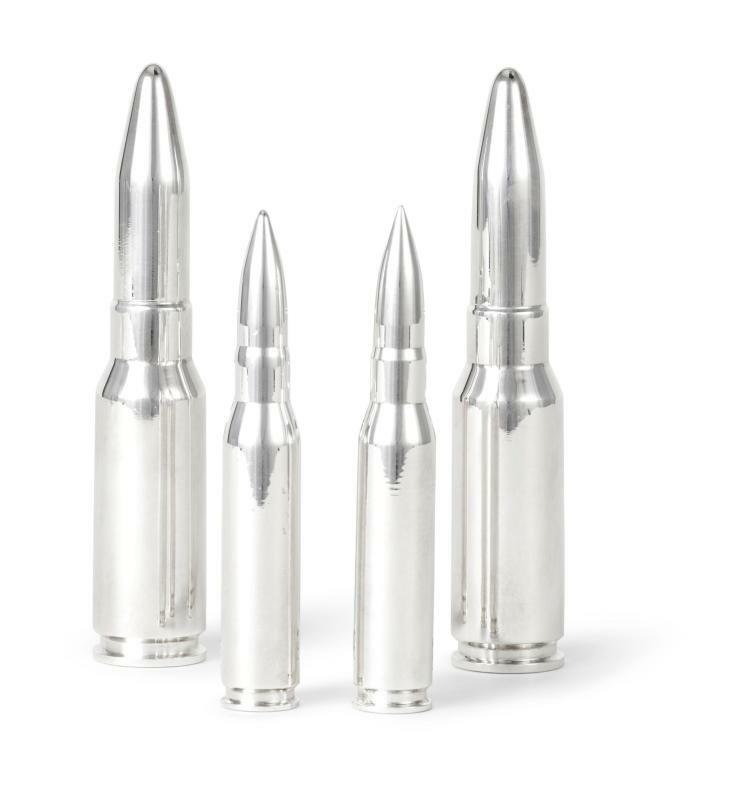 Of course, silver bullets are famously said to be the only weapon able to stop a werewolf; and the term is now often used more broadly to describe a quasi-magical solution to any problem. Huntsman can't help but wonder what use the buyer might put these to.